This week will be a bit of a change of pace for blogging since I went to my cousin’s wedding in Las Vegas this weekend. 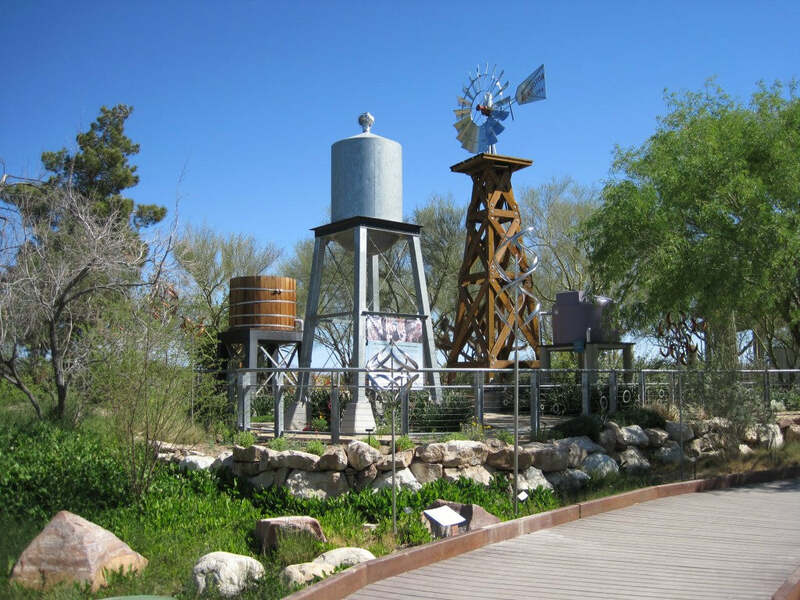 The venue was at a really beautiful eco-friendly garden north of the Las Vegas Strip, and I thought some of the photos I took at the venue could be great ideas for others who are still planning their wedding days. The landscaping was pretty incredible and was really full of possibilities for photo opportunities with various kinds of structures, plants, and flowers all around. It was a place that was really ideal for doing the post-wedding photo shoots with family and the newlywed couple. One of the few shady refuges. The photo of the tree above is a prime example of how it was such an idyllic location. Most everything was out in the open and there weren’t that many places for shade save for a few little spots like these. 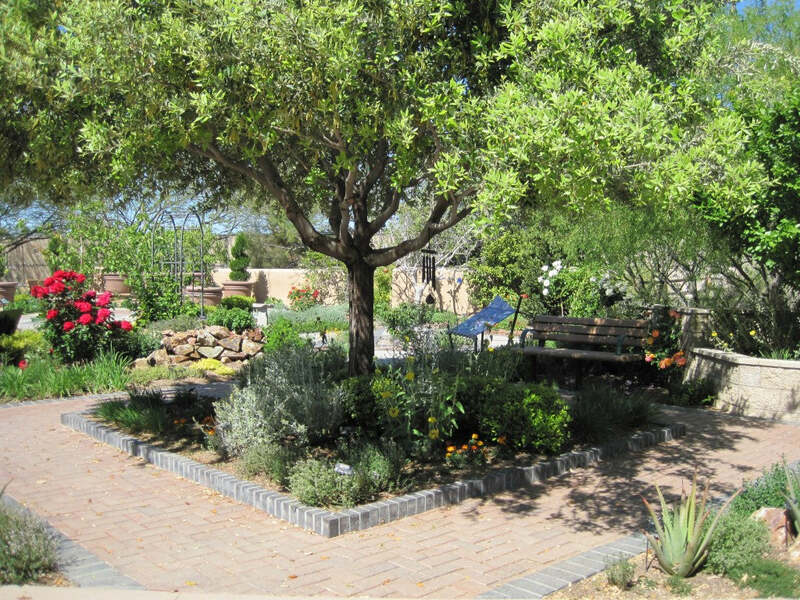 Various different types of plants were carefully placed though to make a beautiful, calming scene. 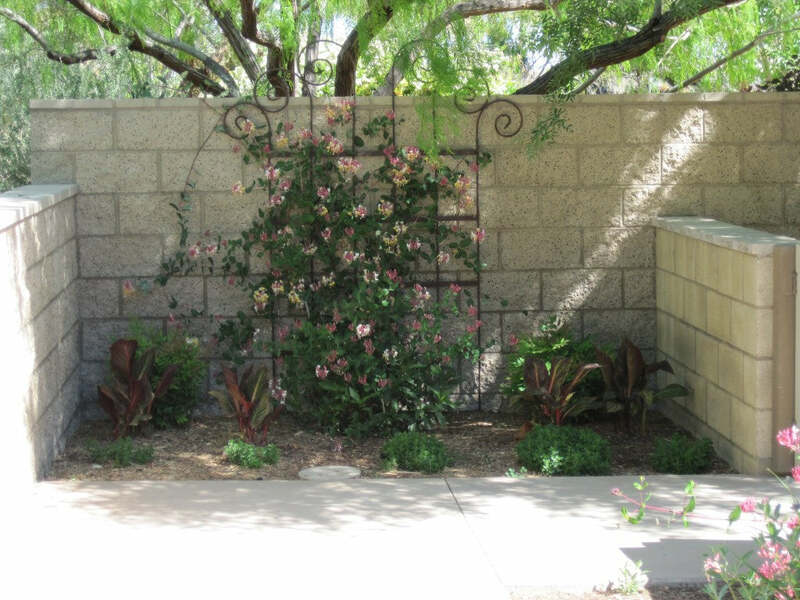 Locations within the garden like this alcove ornamented with flowers climbing up a wall trellis make excellent backdrops for photos and sweet moments. 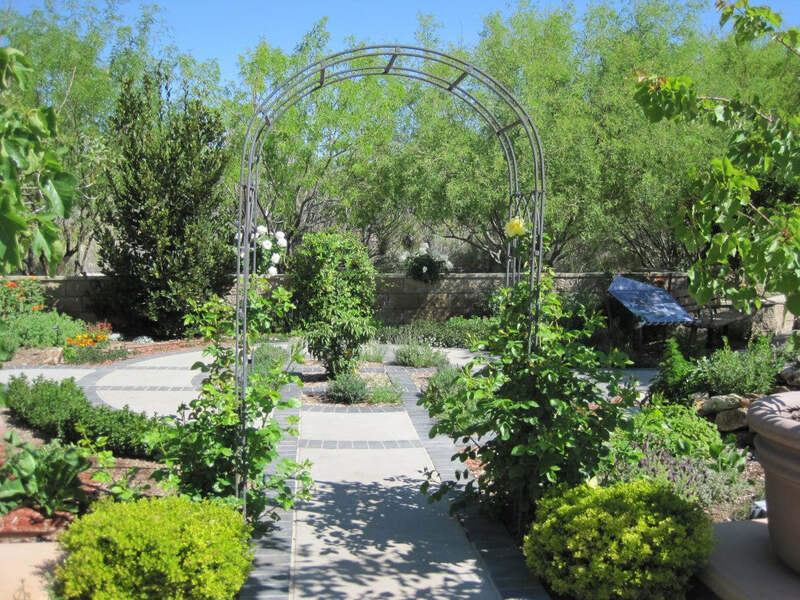 Parts of the garden with archways like this are ideal for making intimate, sentimental scenes with family or with your beloved. This particular garden had a focus on being eco-friendly and sustainable, so it also had some educational structures that artfully illustrated the benefits of wind power like the collection of windmills in this photo. Unique structures like this can make your wedding and any photos taken at the venue a distinct moment in time and extra special. 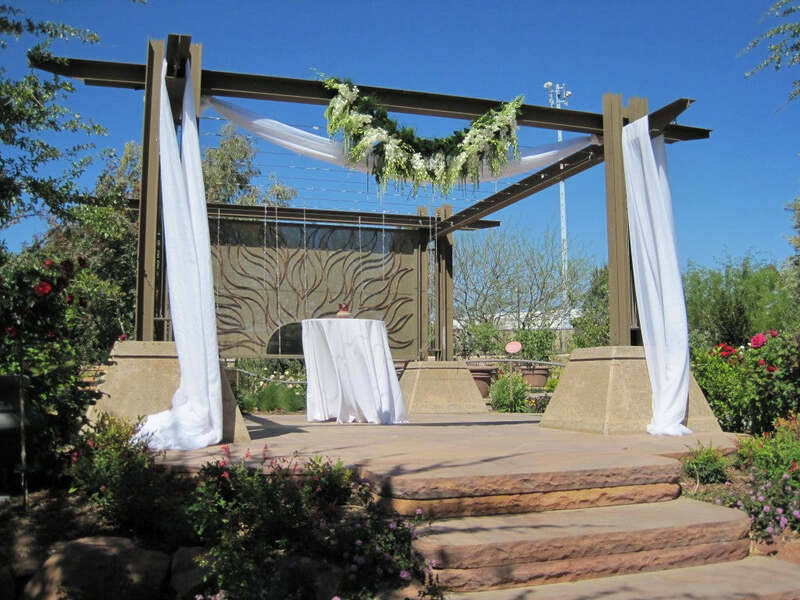 The altar is one of the most important parts of the wedding because it is the focal point for the entire ceremony. The stage area is skillfully surrounded by all sorts of flowers and the draped linens on top soften the scene to make it exceptionally romantic. Strands of crystal hung from metal wires attached to the top of the structure creating a dazzling yet simple curtain. The flower arrangement at the top was pre-arranged by the florist and hung just before the ceremony. The reception was nearby in a building toward the entrance of the garden complex. 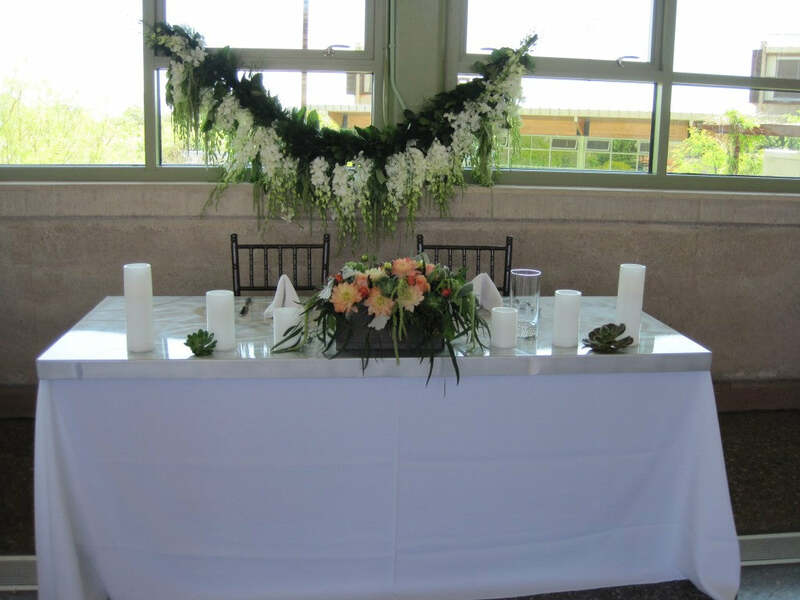 The motif of the wedding ceremony was carried over to the reception with the floral arrangement also appearing as the backdrop to the newlywed couple’s table at the reception. 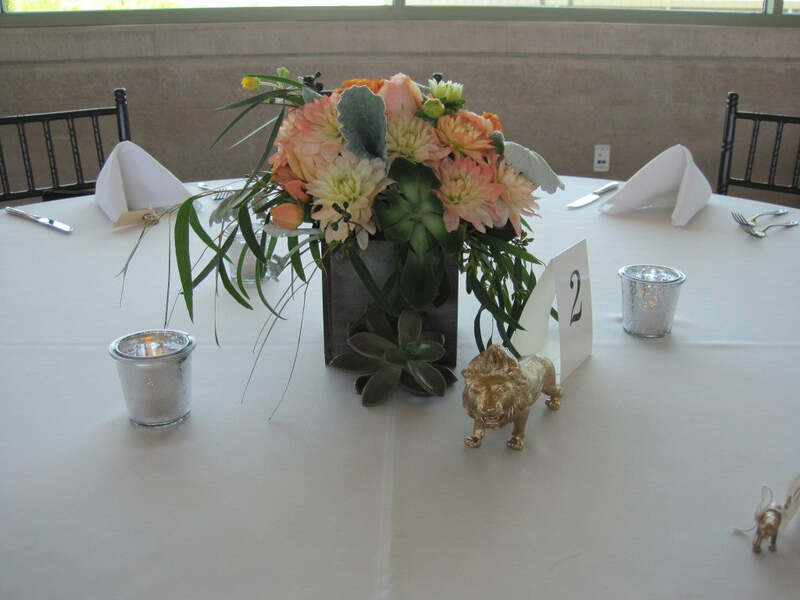 The tables were all magnificently ornamented with desert themed centerpieces featuring flowers suited for the climate and succulents. Each table was themed with a gold animal figurine that was emulated in miniature form with each of the name placards given to each of the guests. 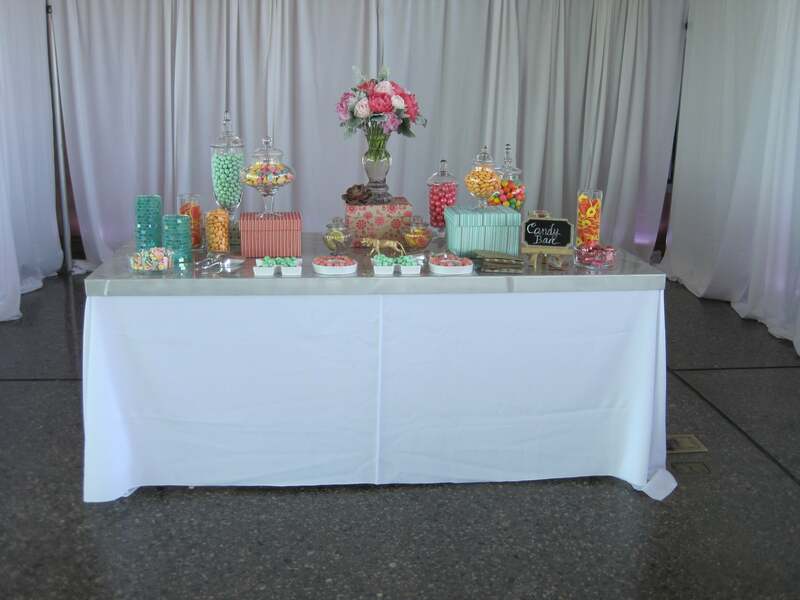 One of the highlights for many of the guests was the candy bar, which had several little treats to satiate guests while they wait for the reception to start or for food to be served. The table was equipped with little baggies so that the guests could gather up as many malt balls, gummies, mint chocolates, gumballs and other goodies as they wanted to take home with them. 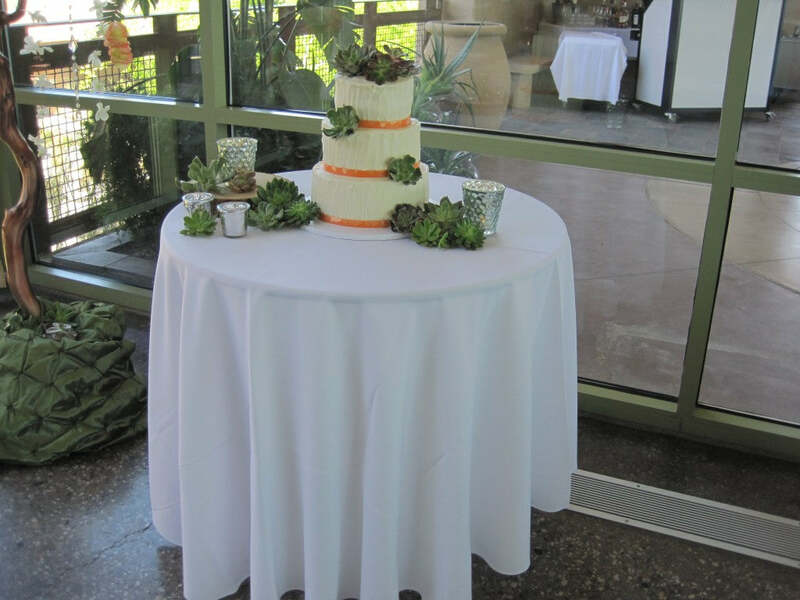 The wedding cake was also desert themed ornamented by succulents. To suit the various tastes the guests had, the layers of the cake were in different flavors. As according to custom, the top layer was saved for the bride and groom, but the remaining two layers consisted of chocolate with chocolate filling and vanilla with salted caramel filling. I hope you enjoyed this look at my cousin’s wedding and find some inspiration in the decor and theme that she chose to celebrate her special day with. Weddings are pretty personal occasions and they should be representative of who you and your beloved are as a couple. For my cousin and her new husband, they found ecology to be important to them and that informed how they put together their ceremony and wanted to share that part of themselves with all of us. If you would like to see more wedding inspiration photos, please check out our tumblr. In addition to posting shots of our products, we also blog and reblog various wedding inspiration pictures ranging from dresses to cakes to decorations.